Nobel Laureate and the first author to win the Booker Prize twice, J.M. Coetzee is perhaps the world's leading living novelist writing in English. Including an international roster of world leading critics and novelists, and drawing on new research, this innovative book analyses the whole range of Coetzee's work, from his most recent novels through his memoirs and critical writing. It offers a ran… ge of perspectives on his relationship with the historical, political, cultural and social context of South Africa. 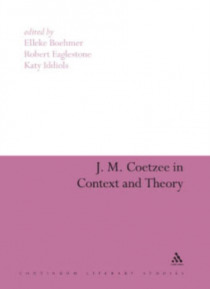 It also contextualises Coetzee's work in relation to his literary influences, colonial and post-colonial history, the Holocaust and colonial genocides, the 'politics' and meaning of the Nobel prize in South Africa and Coetzee's very public move from South Africa to Australia. Including a major unpublished essay by leading South African novelist Andr Brink, this book offers the most up-to-date study of Coetzee's work currently available.